For the past 15 years, The Bunker New York has led the way for American techno by bringing together hundreds of artists from all over the world. More than a mere techno party, The Bunker unites diverse sounds from across the electronic music spectrum, connecting the dots between house, techno, experimental sounds, and much more. 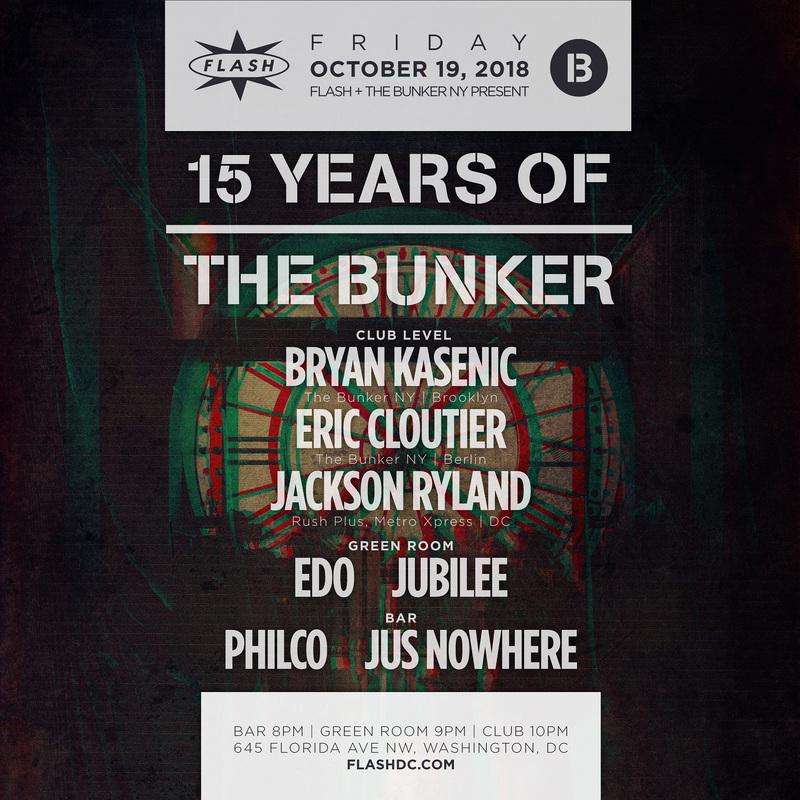 The Bunker New York began as a party, grew up into a record label, and has become a collaborative community, fostered by founder and curator Bryan Kasenic since its launch in 2003. Kasenic's roots in the world of music go deep. In 1993, at the age of 16, he began DJing on Carnegie Mellon’s WRCT in Pittsburgh. He went on to launch his own radio show on WNYU in 1997. The radio show, and his interest in the many weird corners of the NYC music scene, eventually morphed into the creation of a weekly email newsletter, which included noteworthy party and event listings at a time when nothing of the kind existed online. As Bryan became more established in New York City, he created Beyond Booking, the agency that would become a core part of The Bunker New York. During this time, Bryan was also a sought-after DJ, performing at parties and events on a weekly basis. Currently, Bryan also hosts a weekly show on Red Bull Music Academy Radio, featuring The Bunker's friends and family. Bryan is much more than a mainstay at The Bunker New York. He has also played in many of the finest clubs and venues around the world: Berghain, Panorama Bar, and Atonal Festival in Berlin; Concrete in Paris; Bassiani in Tbilisi; De School and Shelter in Amsterdam; Organik Festival in Taiwan; Output and MoMA PS1's Warm Up series in New York; Contact, Air Tokyo and Circus Osaka in Japan; Smart Bar in Chicago; the Communikey and Decibel festivals in Boulder and Seattle respectively; Public Works in San Francisco; and many more. Additionally, he has co-produced numerous events and festivals, including several years at Unsound Festival New York. Unsound is one of the leading electronic and experimental music festivals worldwide, and he subsequently brought The Bunker to Krakow, Poland, Unsound's native city. To understand Kasenic as a DJ one needs only look back at his decades of passion promoting electronic and experimental sounds in New York, and towards the sound of the artists that have become key members of The Bunker New York family: the psychedelic, cerebral bent of Atom™, Voices From The Lake, and Reagenz; the swirling, atmospheric soundscapes of Clay Wilson, Zemi17, and Marco Shuttle; and the industrial-strength hardware dynamics of Løt.te, Mark Verbos, and Romans. 15 years after its founding, The Bunker is stronger than it has ever been and continues to grow, thanks to Kasenic's vision and effort. Aron Freidman, Thump: “When I was in Berlin last December, I must have heard around twenty different DJs play in one weekend. But only one of them really stuck with me, and that was Eric Cloutier. His sound was dark but warm, steady but dynamic, techno but still house; original and captivating.” Eric Cloutier’s standards are representative of the pre-social media craze and arguably the old adage of letting music speak for itself. Cloutier’s twenty-plus year commitment has been built upon his integrity as a DJ and authority as a selector. A self-described "record digging psychopath," one only has to refer to his mix of highly sought after cuts from Driftwood Records to see the lengths Cloutier will go to in order to procure the perfect selection. This is truly Cloutier’s nature - one of zeal and infatuation towards the warm, dubby, hypnotic house and techno that has come to characterize his sound as well as his masterful ability to bridge the gap between dance music’s past and its future. An exception to the norm, Cloutier is not one to capitalize on his Detroit origins. Moving to New York in his 20’s, he became a regular face at The Bunker where he began to further define his innate style of body orientated music. Now situated in Berlin, where he often shows up behind the decks of niche alcoves as well as the world’s best clubs, Cloutier’s reputation as an unequivocal, dexterous force is increasingly becoming one of note. His talents as a producer have also been growing of late, with the establishment of his own imprint Palinoia, Greek for “the obsessive repetition of an act until it is perfected or mastered.” The label has become the new home and optimization for Cloutier’s evolving undertakings. Through Palinoia, Cloutier manages to further synthesize slick, dubby club music to slide into his DJ sets as well as feature lesser known talent he's discovered. He’s a DJ for whom quality - above all else - is the watchword.